It helps you to change you Valentine’s Day decorations quickly, great addition for christmas decor. High quality faux linen, printing never fade. 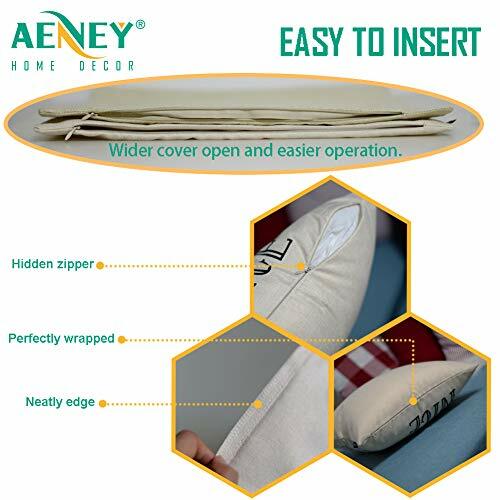 Pillow cover with hidden zipper. Durable, and well made! This item does not include insert but 1 piece of pillow cover. 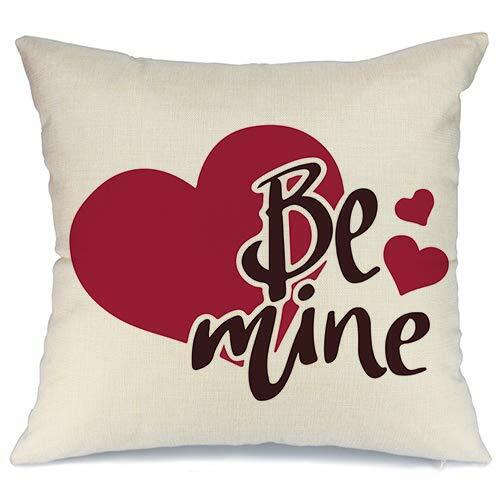 This pattern is a great addition for your Valentine’s Day home decor.It helps you to change you Valentine’s Day decorations quickly! Of course, it can also be used for home party and holiday decor as well. Make that special day something different! It will make your party something your guests will remember forever. Let it be the focus of attention among friends. 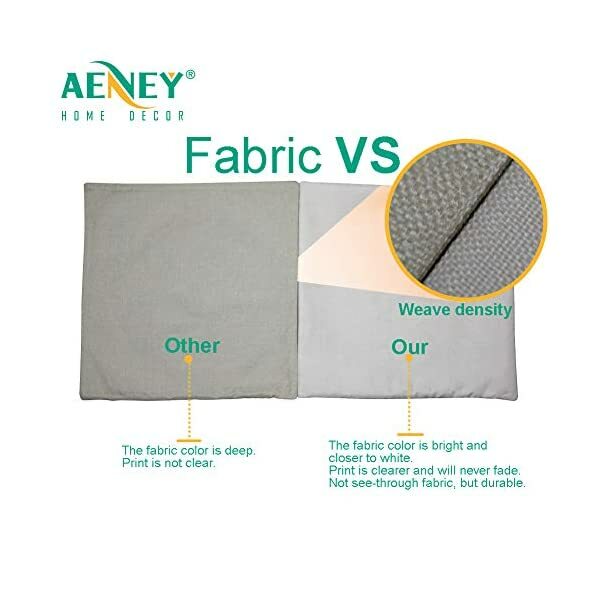 The fabric is very durable and the picture is clear with great colors! Excellent production. I highly recommend this throw pillow cover! Home is where the art is! 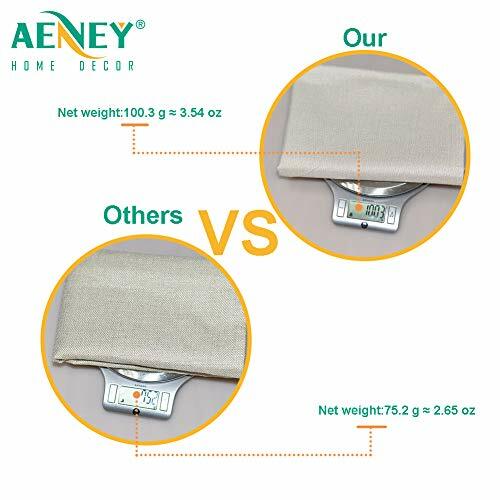 You will absolutely love our decorative pillow cover. It applies to living room, bedroom, offices, dining room, garden, and other relax space. You can put it on bench, couch, sofa, chair or bed. Most importantly, it not only looks beautiful, but also makes you feel comfortable and relax. It can create a comfortable living space for you. Fabric Color: As the picture show. 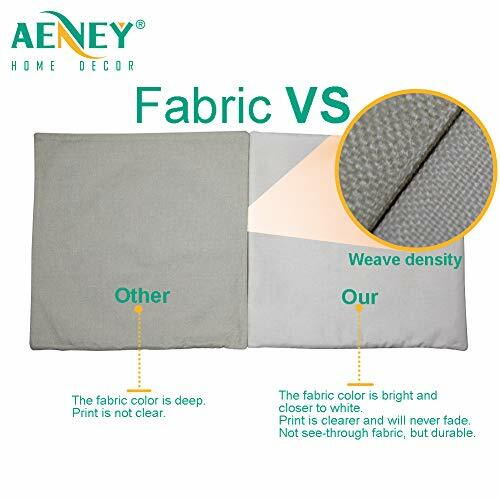 Material: High quality faux linen. 100% polyester, printing never fade. Size: 18″ x 18″. It fits 18×18 inch insert or smaller insert. Pattern: only on the front side, the back is without printing. 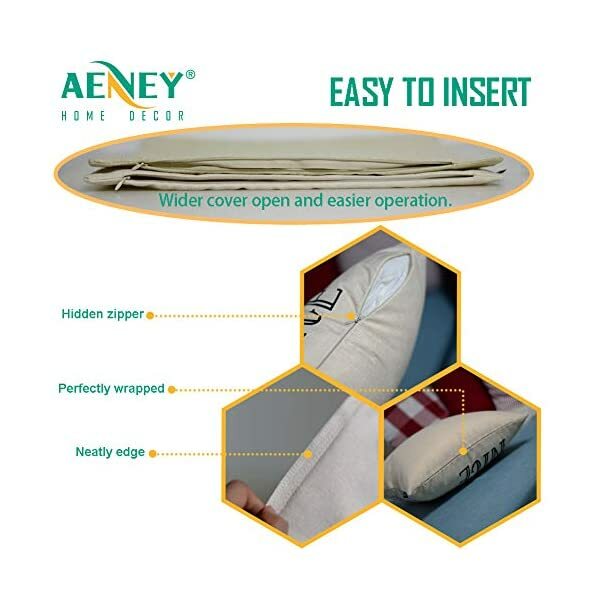 zipper: High quality invisible zipper, all seams have been over-locked. 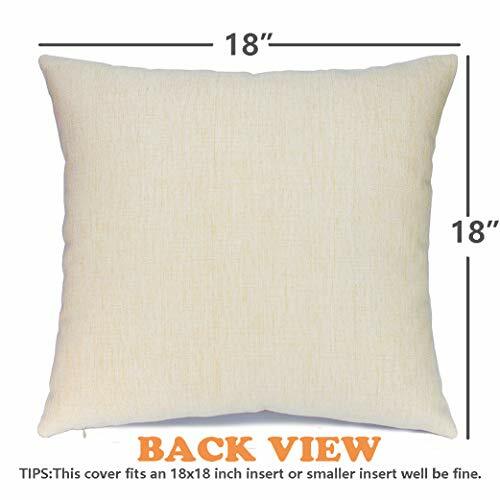 Package Include: 1 PILLOW COVER ONLY, NO PILLOW INSERT ! Recommended indoor use, Machine washable or hand washable, Wash with warm water, do not dryclean, do not iron, tumble dry with medium heat, do not bleach. 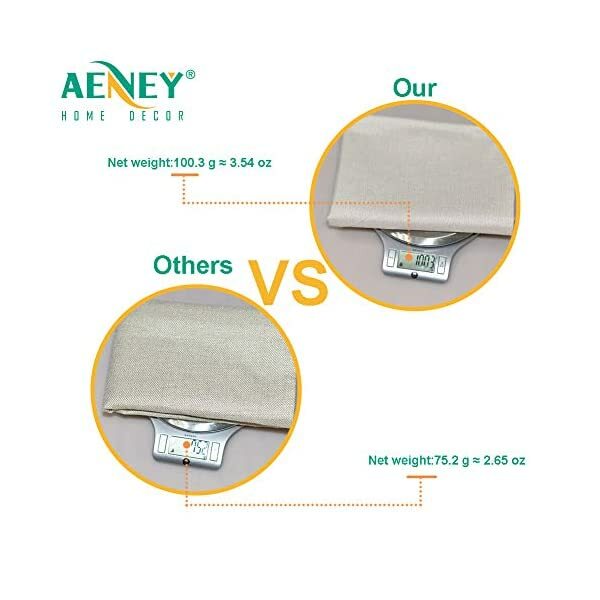 90 days 100% satisfaction guarantee, “AENEY” support risk-free money-back guarantee. 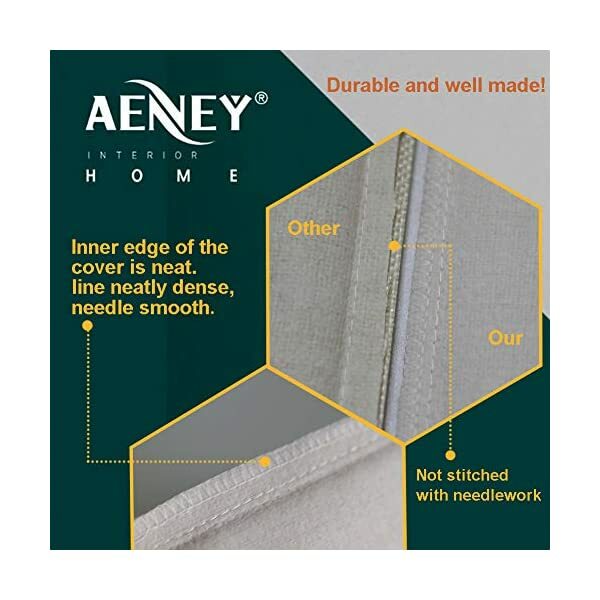 Tips: Check out more unique decorative pillow cover, please search “AENEY” on Amazon. 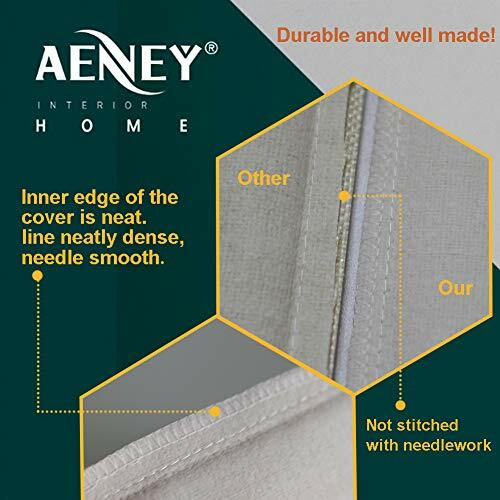 At AENEY, we provide unique pillow cover and great experience for all customers. 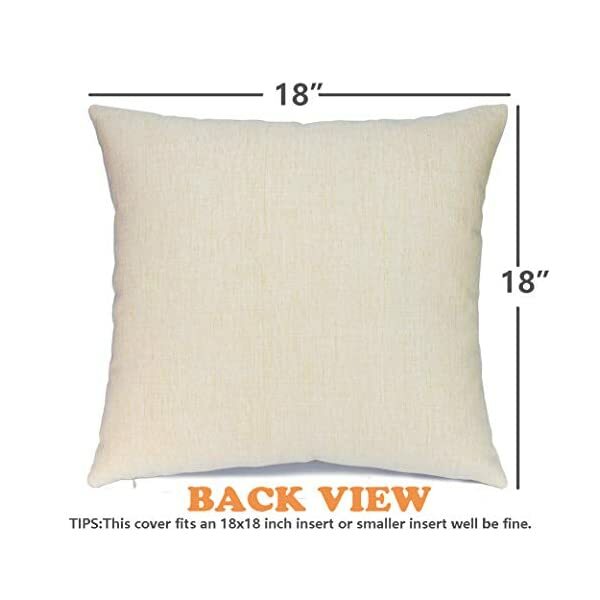 Square decroative pillow cover size 18″ x 18″, It fits 18×18 inch insert or smaller insert. Backed with a 90-days 100% satisfaction guarantee.